I can't believe I'm back to the blogosphere and I'm able to -finally- state that I've finished successfully this uni year! I can assure you that I've fought and struggled very much, and always tried my best to achieve the goals I set at the very beginning of the year. Finally and luckily, I will be leaving for my last year in Italy very soon for an Erasmus year abroad which I couldn't be more excited about. But, before that, I've still have plenty things to do here in Spain! It's been a harsh Summer start, dealing with super hot temperatures outside while dealing with the last hints of my final project deadline these past weeks. Spain has been under quite a big heat wave for about two weeks, and I can't help but keep thinking about what I will be wearing to my newly and sudden Summer internship on a local architecture studio (fingers crossed! Looks like there's plenty of work to do!). If as a rule it's a pretty serious issue to deal with weather in the Spanish coast, just imagine how hard it is to figure some fresh, summery outfits when we're under a very Spanish Summer. So, today I partnered with Lightinthebox to show you how to wear a maxi dress under very warm weather and still survive the Summer crazy temperatures. 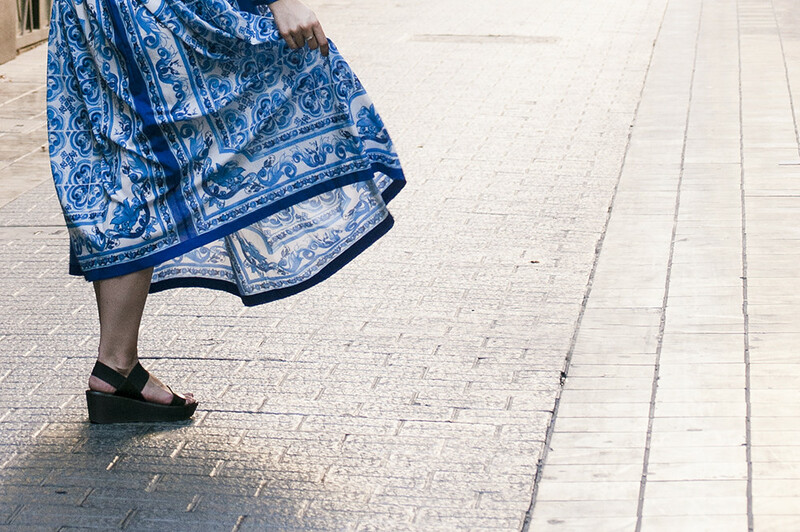 I picked this lovely blue boho inspired dress which has this tiled pattern inspired by Portuguese painted ceramic walls. 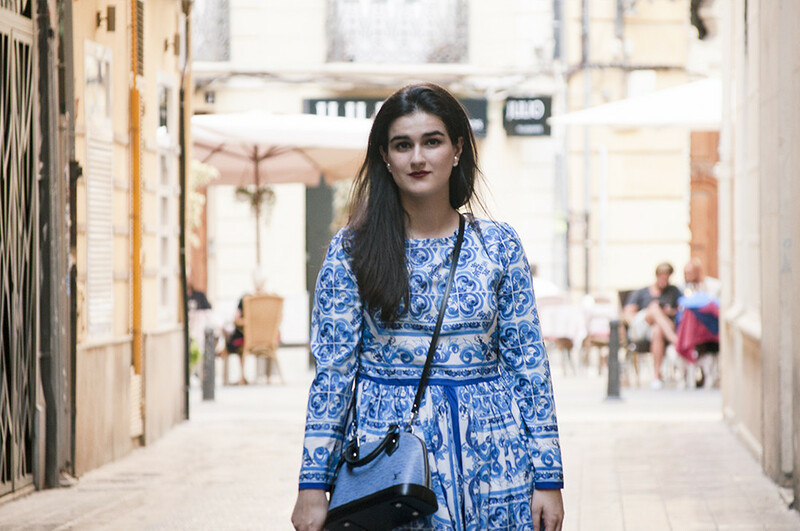 Although it has long sleeve, it's made out of a silky, slippery fabric similar to chiffon which makes it pretty en pointe for Spain's summer temperatures. It comes with a lining covering the whole bodice and reaching to knee-length, and a zip from the waistline up to the neck. This maxi dress just seemed the perfect match for a summery evening in Valencia enjoying ice-cream with friends on a terrace, or even for a casual day at work as it's very easy to pair with some wedges or flat sandals when on a rush. I just have to point out that I'm a regular size M-L (EU 40) and I had to order an XL as it runs pretty small. My advice for ordering clothing on the Internet is to, ALWAYS MEASURE YOURSELF and double check your measurements if possible! Choose light fabrics, and go for natural, breathable fibers if possible. Chiffon, light cotton, linen and rayon among others may work pretty well. Keep in mind the fit. Loose, baggy fits let your skin breath more and better. Flowy dresses like the one I'm featuring on this post are a nice idea! Avoid fabrics that stick to your body. Accessorize! Floppy straw hats are the coolest, and bandanas might help your hair -and sweat- stay out of your face. 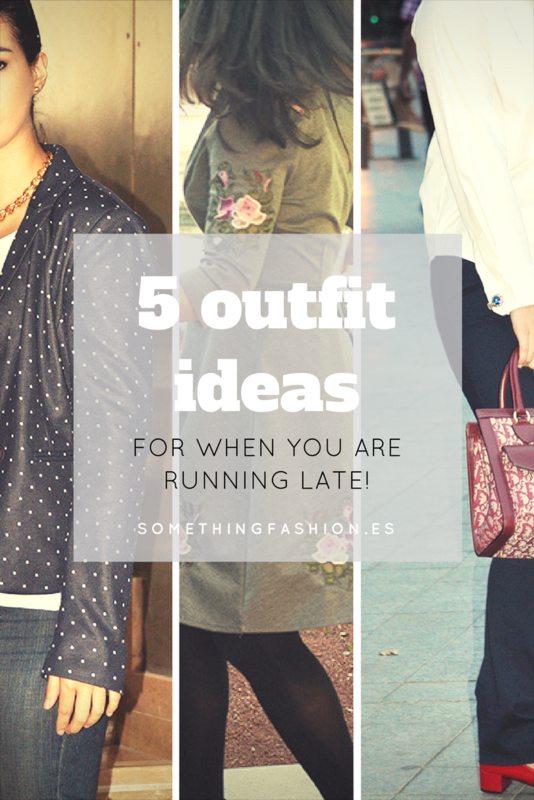 5 outfit ideas... For when you are running late! I'm no lazy one, but if I have to recognise something is that I absolutely love to sleep. Which means hitting the snooze button more than once maybe not every morning, but more than once per week. Which means running late to class more than I would like to admit. That usually leads me to having at least one or two emergency outfits which I can pull out of the closet, put on and rush off with one sandwich bit on my mouth, my backpack and keys. It's nonsense, but I've come to accept that as a part of myself *laughs*. We have quite soft winters here in Valencia, so, our huge coats are of almost no use. Instead, biker and leather jackets are our perfect go to for chilly mornings and the best is that the look pretty good with almost anything. If it's a bit colder, we would go for a knit scarf or cowl for our necks to survive extreme humid weather! I like to pair mine with my favorite straight jeans and booties or flats if I go for skinny jeans. This is the perfect outfit because it's super easy to just pull out of the closet any pair of jeans, the first T-shirt you see and your biker. Cool and badass outfit done in less than 5 minutes! Friday 9th June evening. At the Veles e Vents building in Valencia, iconic construction made by architect David Chipperfield. 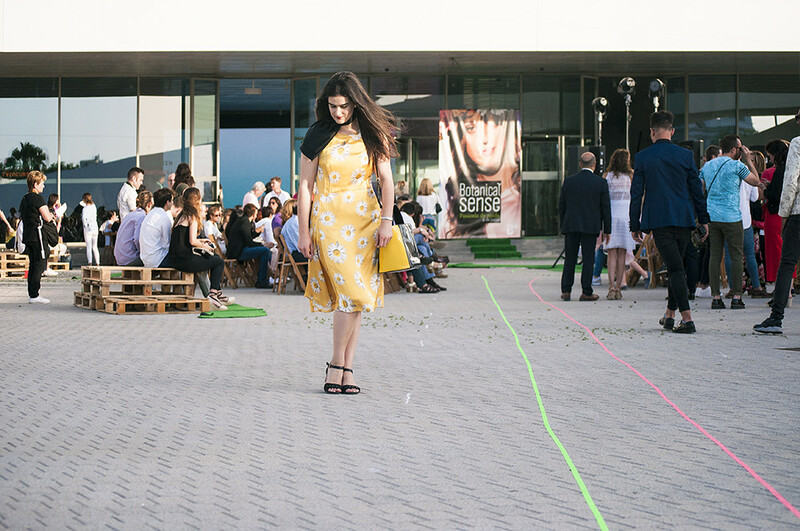 We gathered for the annual Pasarela Barreira event, which brings together every late Spring some of the most promising young fashion designers and fashion students in Valencia. With the hashtag #botanicalsense to cover the event, we joined the show which was full of conscious slow fashion aiming for sustainable materials and recycling as a start point. I think it's very nice that this kind of events take place in Valencia. First, this fashion shows are a marvelous platform for young talents and designers to gather up, show the result of their hard work during the year, meet their future customers and inspire others to take the difficult but fulfilling path of becoming part of a discipline which is both technical and artistic (hey, I may not be working in fashion, but I deal with my particular clothing sewing patterns as building floor plans EVERY-SINGLE-DAY. I can assure you both disciplines' fundamentals are pretty similar). Also, having sustainable, slow and green fashion as a whole concept is just enough to create awareness and spread the word about the great impact this new ways of designing will have in a near future. So, we absolutely enjoyed an evening next to Valencia's harbor filled with live music and a dynamic catwalk which reminded me the assembled by Louis Vuitton for their Cruise 2017 collection, having a promenade architecturale as background and leitmotiv of the whole #botanicalsense event. The fashion show hosted the proposals of the young design students at the categories of both women's and men's collections, maternity, millinery design, accessory design and even a child's collection (they were so, so cute!). I think all of them achieved a great level of originality, creativity and had a super professional approach. I can't even think about the nerves of the backstage minutes before the start! 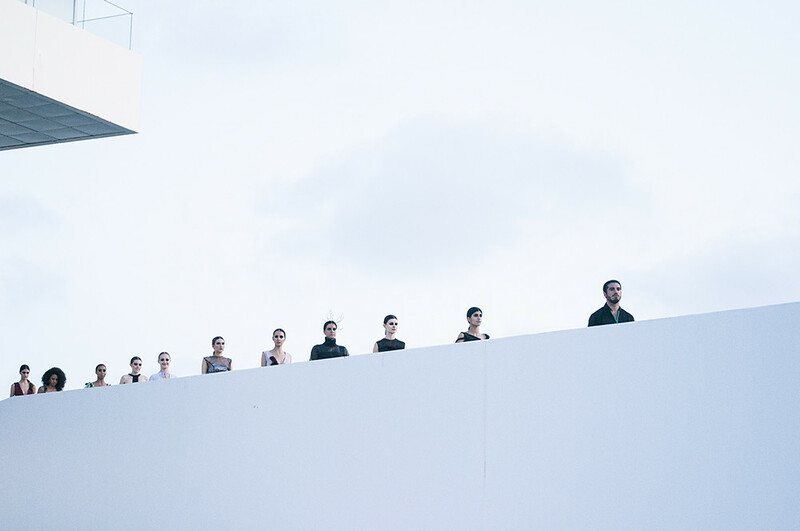 Congratulations to the students who graduated with their first collections at such an iconic building which is the Veles e Vents and the Barreira school staff. It was such a blast sharing those creative synergies and seeing so many different points of view regarding fashion and design in just a couple hours!